When I was in college, I got interested in which physical traits and abilities were consistent among high-performing climbers. At that time, in the mid-1990s, there were some basic assumptions and many things we considered common sense. It was clear that climbers had to be relatively thin, relatively strong, and somewhat flexible. We did exercises that made our arms tired, and knew that “the pump” was the key to getting fit for long routes. 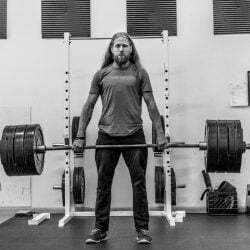 A few years earlier, Dr. Phil Watts and Dave Martin (now also an exercise physiologist) did an interesting study at one of the international comps at Snowbird: They tested crushing grip strength and body composition of several of the elite athletes competing that year, and compared those numbers to performance in the competition. The results were interesting: of course the competitors all had very low body percentages, but the grip numbers didn’t correlate well. 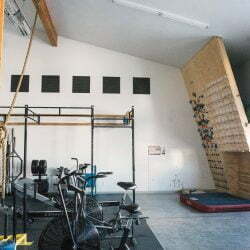 In fact, the climbers that had the strongest grip were Americans who didn’t even get to the finals, and the eventual winner, Didier Raboutou, was among the lower scores in grip strength. Later, we did a grip test and survey at the International Climbers’ Festival, but I never did anything with the data. For one, I didn’t understand how to interpret it, and two, I’d asked the wrong questions. Some twenty years later, I finally put together a survey that I like, the 2014 Survey, and we had a whole host of rock climbers fill it out. The survey confirmed much, but raised even more questions. What follows is the data we collected, and the points of interest we came across. A disclaimer: I am not a statistician, and I barely made it through college, so when you find flaws in my numbers…you’re probably right! These data are assembled from 19 survey questions and three tests administered by our team. We tested 76 climbers who ranged in age from 16 to 67 years old. Originally, we collected surveys from climbers that “self-tested”, but I did not include these results in order to maintain consistency. Below, I’ll present the questions, the mean answers from those questions, the tests, the mean results of those tests, and then some correlations. On average, how many days per month do you climb? How many roped pitches do you do in an average climbing week? How many different climbing areas do you visit in a typical year? How many different rock types do you climb on in a given year? What is the grade of the hardest climb you have redpointed? What is the grade of the hardest climb you have flashed? What is the grade of the hardest real rock boulder problem you have climbed? What is the grade of the hardest indoor boulder problem you have climbed? This one ranged from 51″ to 79″. I haven’t listed the numbers here because the data set would be huge. I am interested in a height/weight comparison, but it would probably tell us what we already know – climbers tend to be thinner than average and can climb well at almost any height. What is your body weight in pounds? Same story here…numbers were all over the map. You’d need to be smarter than I am to make sense of this. Of course, then you might come up with something like the BMI if you did, which is a ridiculous measure in and of itself. Approximately how many unique routes do you redpoint at your limit level each year? How many days per month do you climb outdoors? How many days per month do you climb indoors? Do you do any supplemental training for climbing? Please detail type and days per week. This one is beyond the scope of this article. However, of interest is that about 45% of the respondents do no supplemental training. About 25% run or cycle at least two days per week. Nearly 80% do pull-ups and push-ups regularly. Also of note is that two of the climbers listed Crossfit as their one form of supplemental training. This did not correlate with climbing high grades. 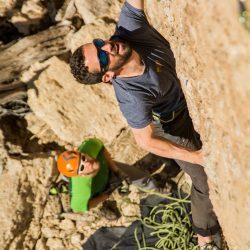 What is the longest period you’ve been forced to lay off climbing due to injury or illness? Strict Pull-Ups. These were done from a straight-arm lock position to a point where the entire head is above the bar. No swinging / kipping / etc. allowed. 1.5 cm edge deadhang, both hands. Static Grip Strength. We measured left and right hand, and compared the difference for each climber. Static hang endurance (1.5cm edge hang) correlated almost directly with surveyed climbing ability. Our three strongest redpoint climbers were in the top five hang durations. Grip strength (crushing) didn’t correlate at all. Two climbers maxed out the dynamometer at 200# (confirmed by testers), both with the right hand, and both from Casper, Wyoming (not sure if this is significant…). Two other climbers (including one famous writer!) were unaware that the dynamometers maxed out at 200# and claimed higher numbers, having reset the device before handing it back to testers. Pull-ups (upper body endurance) were generally high – the average American male between ages 20-30 can do only one – but didn’t necessarily correlate. Eight of the ten highest values came from climbers who redpointed in the 5.12 range. In general, climbers who spent more days per week climbing outside, and had been climbing the longest, were the ones with the highest redpoint grades. High bouldering ability correlated very well with high redpoint ability. The old adage that you can redpoint about one full number grade higher than your onsight seems about right. 60 of 74 climbers were either four or five number grades apart. Climbers who climb on at least three rock types seemed to have higher abilities in onsight, redpoint, and boulder.